The World Hindu Congress (WHC) is a global platform to connect, share ideas, inspire one another and impact the common good. 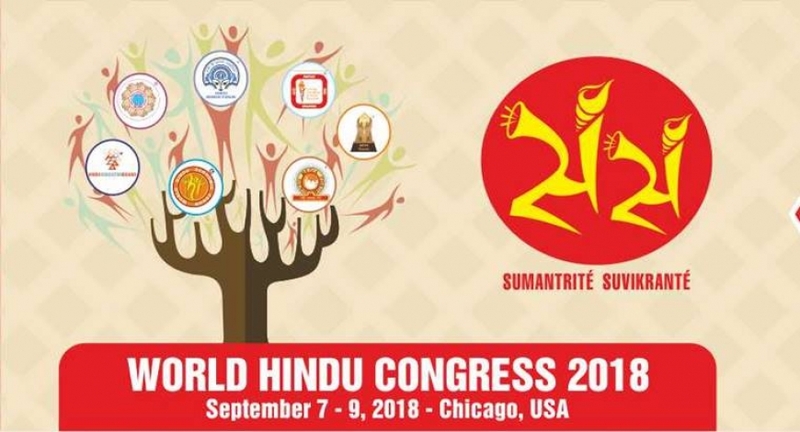 The second World Hindu Congress will be held from September 7 – 9, 2018 at Hotel Westin, 70 Yorktown Shopping Center, Lombard Chicago, U.S. Inspired by the Hindu principle, Sumantrite Suvikrante or ‘Think Collectively, Achieve Valiantly’, the World Hindu Congress 2018 promises to be a movement not to be missed. On the eve of the 125th anniversary of Swami Vivekananda’s historic address to the Parliament of World Religions in Chicago, Hindus from around the world and of all backgrounds are invited to actively participate. Held once every four years, WHC’s seven parallel conferences showcase how the values, creativity, and entrepreneurial spirit of the global Hindu community find expression in a variety of spheres, including economic, education, media, organizational, and political, as well as the unique leadership and contributions of Hindu women and youth.